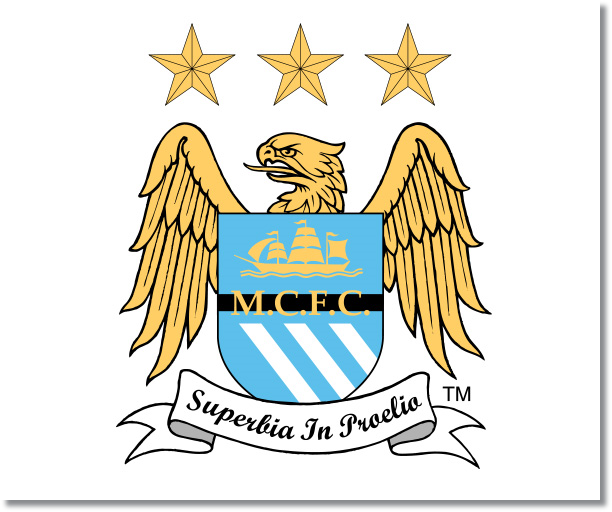 Premier League Preview for Manchester City v Manchester United along with Predictions for every result in the EPL. Follow up each match with results and video highlights posted later in the week. At the moment the two Manchester clubs are sitting fourth and fifth in the table on seven points with City ahead on goal difference (+5 to +4). Over their last six meetings they have split with both teams coming away with three wins apiece and no draws. In addition, the only home win was back in April of 2012 when Manchester City won 1-0. The Manchester derby is always a difficult match to predict. Even back in the days of Manchester United’s dominance the blue side of Manchester City was able to come away with wins. Overall across all competitions Manchester United has 69 wins compared to City’s 47 and 50 draws. In looking over statistics Manchester City is currently undefeated at home in 36 of their last 38 matches, however, one of those losses was to United. United is also undefeated in 27 of their last 30 Premier League matches. In this 2013-14 EPL season City has a better conversion rate with 14% while averaging 2 goals per game on 14.3 shots per game. This compares to United’s 10% conversion rate from 1.5 goals per game and 14 shots per game. At the other end of the pitch both clubs have only allowed goals on the road with City allowing three and United two. City has allowed 8.3 shots per game resulting in 0.8 goals per game compared to 10 shots per game and 0.5 goals per game allowed by United. In looking at positional data Manchester City has done well in spreading their play across all areas of the pitch while United has definitely favored attacking down the right flank. Statistics are always fun to look at, but when it comes down to the match itself there is always going to be much more in it than raw data. In looking at injuries, at the moment (prior to Champions League matches) City has the bigger issues with Vincent Kompany, Gael Clichy, Micah Richards, and David Silva all injured, but with the possibility of returning for Sunday’s match. Manchester United have Phil Jones, Rafael and Shinji Kagawa all listed as injured, but also all with the possibility of returning. Even if Kagawa is fit and ready to go, there’s no guarantee he will be used considering his lack of usage to date. My prediction for the match was initially a Manchester United win. Following the midweek Champions League matches I have amended this to a draw. Manchester City have Vincent Kompany returning and most likely will also have Micah Richards. This will certainly shore up their defense, which had been rather frail following Kompany’s injury. United has been solid defensively this year and with Moyes in charge I would expect him to focus on setting up with the idea of stifling City’s attack while using the wings to counter. While City has a bit of balance in their team now, they are also lacking some of the bite they had in midfield last year with Gareth Barry being on loan at Everton. They really struggled to create good chances last weekend against Stoke and that could be the blueprint for other teams playing against the sky blue of City.